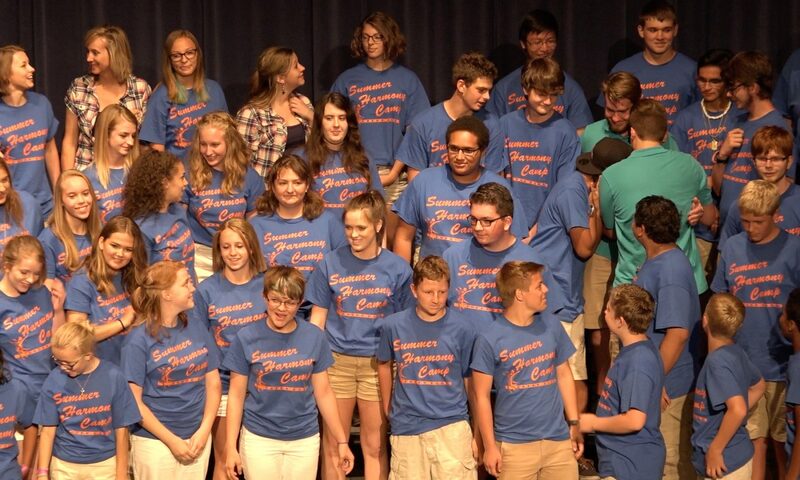 Q: Can you help me find music & tracks even though Summer Harmony Camp is over for this year? A: Absolutely! Just contact us and we’ll help you find music that is suitable for your quartet. Q: Can I register yet? Q: When/Where is the camp? Q:How many students can attend? A: The camp is open to 75 Boys and 75 Girls. Once the slots are full, registration will close. Q:How old/young do you have to be to attend? A: The camp is designed to accommodate High School Students. Anyone that has completed the 8th grade is eligible. Also, students that have graduated High School just before the start of camp are eligible. There is a potential for students to attend 5 years total. We have, in the past, allowed Junior high students to attend. We can make exceptions, please ask first. Any youth members (under 14) of the BHS or SAI are always welcome. Q: I don’t have a quartet, but I’d like to be in one. Can you help? A: Yes. We will help find other students that also want to be in a quartet and introduce the four of you to each other. Q: What part do I sing? A: That’s a little tough to answer without hearing you sing, but we can give you an idea. Listen to the different parts on the learning tracks and see which one(s) you are comfortable singing. Challenge yourself to learn more than one part if your vocal range allows. Also check out this old quartet contest video for information about the different voice parts. Q: Do I need money for anything while at camp? A: No. Unless you plan on visiting concessions at the YMCA. A: A Tag is the ending of the song (AKA Coda). It is the highlight of the song and usually has the juiciest sounding chords. These are sung for fun and not intended for you to memorize. But do learn a few to try out with three other campers. Visit www.barbershoptags.com for endless tag-singing fun!